No matter how many times you reorganize, how many garage sales you have, or how many times you watch Marie Kondo’s ‘Tidying Up,’ clutter still seems to find its way into your home. What you may not know is that there are certain events in your life that draw clutter in more than others. The easiest way to keep your house clutter-free is to know when you should use self-storage to give your home a little extra TLC and space to breathe. Whether your youngest is heading out for their first year at college, they’re making the transition from dorm to off-campus apartment, or they’re coming home for a much-needed summer break, they’re going to need somewhere to put all of their stuff. One of the challenges for students in college is that their living situations aren’t usually permanent. Chances are their bins of stuff are going to be doing a lot of traveling around for 4 years. Renting a storage unit can help relieve some of the stress of finding a place to put all the stuff they’ve accumulated over the semester (and keep them from bringing a carload of stuff home). Believe it or not, a messy and cluttered office can affect your productivity. 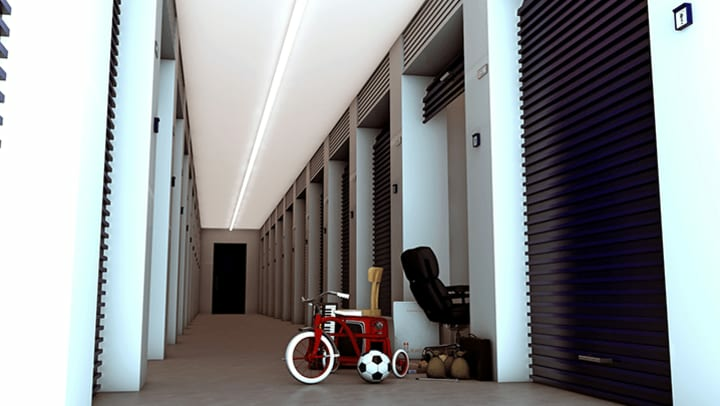 If you have furniture piled up in every corner of the office, or your desk drawers are overflowing with files you just can’t get rid of, you might want to consider a storage unit. It’s a great way to free up some office space while keeping everything safe and sound. No matter how much moving preparation you do, you just never seem to have enough space. Parting ways with your favorite household items can be tough, especially if you’re downsizing and most of it has to go. You shouldn’t have to say goodbye right away. Instead of jumping the gun and donating your stuff right away, use a storage unit to hold it. That way it’s still available if you (magically) have enough space to fit it into your new home, or until you’re emotionally ready to part ways with it. Renovations are a great way to increase the price of your home and to give you extra space if you’re feeling a little cramped. But renovations come with dirt, dust, paint and all of that other stuff that can ruin your furniture. The best (and easiest) way to make sure that your furniture stays in good shape while you’re renovating is to put it in a storage unit. Out of sight, out of mind, and out of danger from sawdust. If you’re a craft-aholic and like to decorate your home for every holiday and changing season, you’re going to need somewhere to put all of that stuff. After all, you don’t want a Santa figurine making its way onto the floor during the 4th of July (unless of course, you’re a Christmas in July-er). Self storage is the perfect way to keep your holiday decorations organized and safe throughout the year so that when the right time finally does come around, it’s a quick set-up and take-down. Regardless of what your reason is for needing self storage, we’re here to help! At Space Shop Self Storage, our customers are our number one priority, and your belongings are a close second. We’ll work with you to get the unit you need to keep your belongings safe and sound. Stop by your closest location, say hi, grab a cookie, and let’s chat about your storage options!